The Wiruungga Organisation will be holding a (closed) workshop for elders. This cloak is already being designed in the traditional way, with a story that Wiruungga feels is important to pass on. 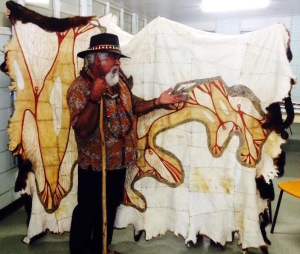 The cloak will be on view at the State Library of Queensland over 2016-2017 then housed at the Wiruungga Organisation. 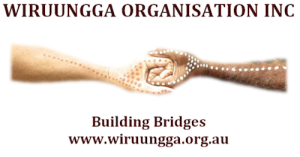 Part of the Wiruungga Organisations core values is to archive as many different languages, cultures, dance, storytelling, music and craft from all over Australia. Then share this by inviting selected people from communities throughout Australia to come and acquire knowledge, enabling them to impart this knowledge back to their community. 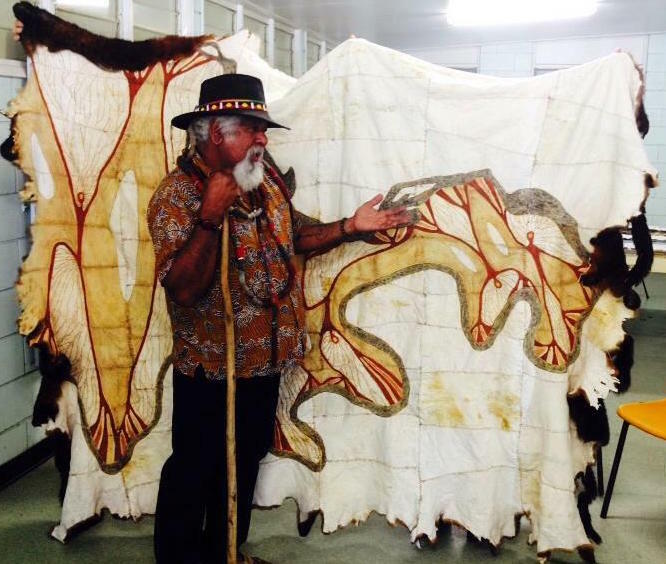 Using contemporary techniques inspired by traditional practices, participants will illustrate their stories on a possum skin. These pieces will be stitched together to create one large adult cloak, collectively representing the Wiruungga Organisations story. The Wiruungga Organisation would like to extend a huge thank you to Artslink Queensland for making this workshop possible by providing the funding necessary for this traditional indigenous art form. The workshop is held in conjunction with Carol McGregor indigenous artists, Artslink Queensland, The Wiruungga Organisation and the State Library of Queensland. The workshop is a community workshop to revive possum skin traditions through contemporary artistic practice. The 2015 Kenilworth Workshop was a success, see information here.